COPENHAGEN, Denmark (AP) - A Danish pizzeria owner went to jail Tuesday for refusing to serve French and German tourists in protesting their countries' opposition to the U.S.-led war in Iraq. A Danish court found Aage Bjerre guilty of discrimination and sentenced him to pay a 5,000-kroner fine, about $900 US. Bjerre refused to pay, and will now serve an eight-day sentence at a minimum security prison. "I'm doing it to show my sympathy with the United States. It shows how seriously I mean it," he told The Associated Press by telephone. "But one should also remember that eight days is a small price to pay when American soldiers go to Iraq and risk their limbs and lives," he said. In February 2003, before the U.S.-led invasion of Iraq, Bjerre posted two signs barring Germans and French from his pizzeria on Denmark's western island of Fanoe. The signs showed human figures in the colours of countries flags, with a line drawn through them indicating "no admittance." The boycott drew criticism in this Scandinavian country, where the government supported the war while its citizens were split. 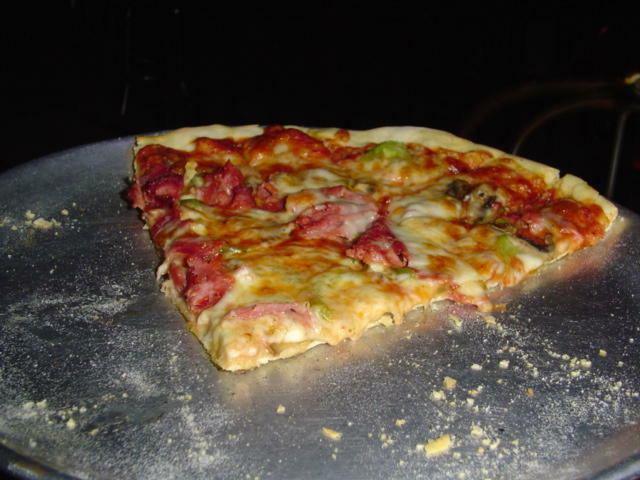 The 46-year-old received hundreds of fan letters from the United States, but had to sell the pizzeria after repeated vandalism and a large drop in sales. "I can't afford to buy a new pizzeria after all the money I lost on the whole thing, and other pizzerias are wary of hiring me because they know I'm sticking to my principles and still won't serve German and French tourists," he said. He is bringing a photograph of U.S. President George W. Bush and first lady Laura Bush, as well as an American flag, to decorate the walls of his prison cell. "I think that will brighten up the room," he said. Pizza and America, my two favorite things. Among the many droves of non-observers lurks a man with many observations, opinions and comments that few will agree with and many will rebel against. That man is, The City Stalker.